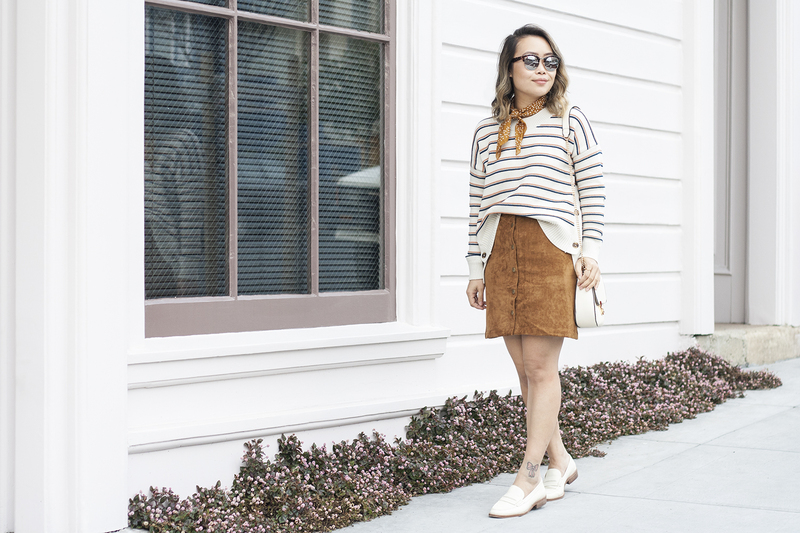 It has literally been a month since I posted a non-travel #ootd! The holiday was hectic, then January was back-to-work mode, on top of that it's been raining nonstop... hopefully I can get back into my normal routine soon. 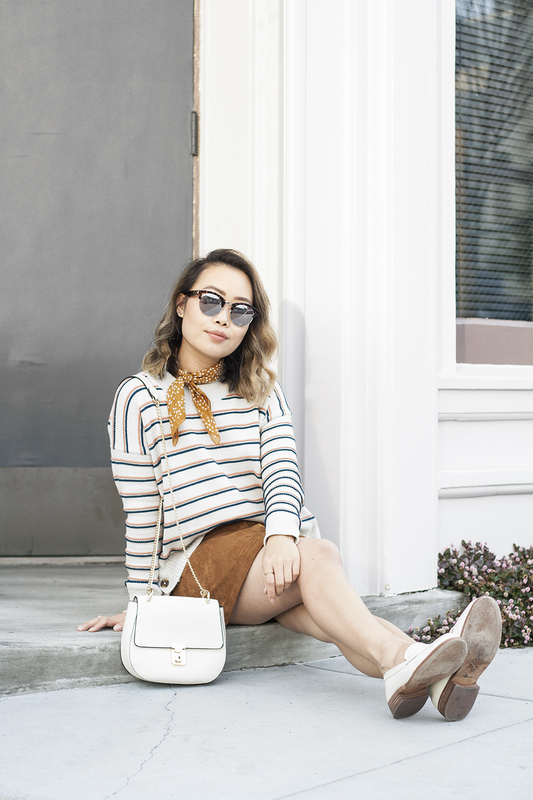 The weather isn't quite chilly this week so I am wearing this striped pullover sweater with cute side buttons by Madewell. 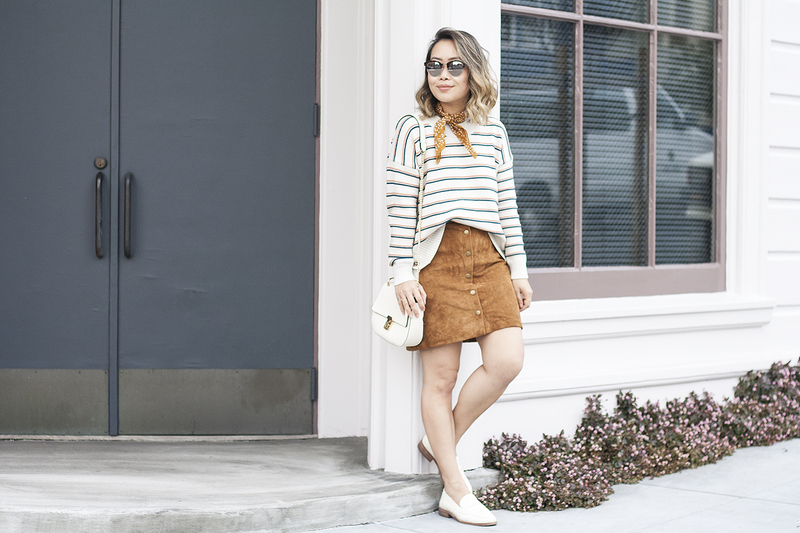 I styled it with a simple suede skirt by Maison Jules and these amazing leather loafers (also) by Madewell. I wanted to make the look more playful so I added this darling little dotted bandana to the mix! What do you think? 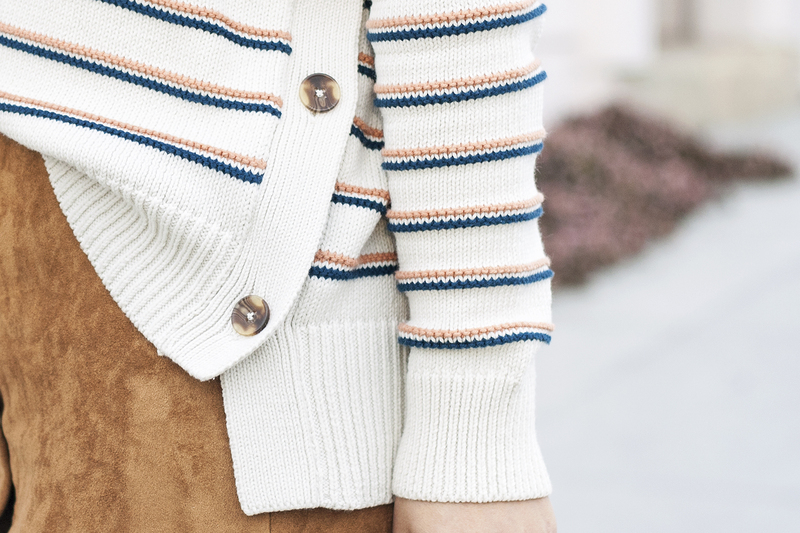 Stripes side-button pullover sweater c/o Madewell. 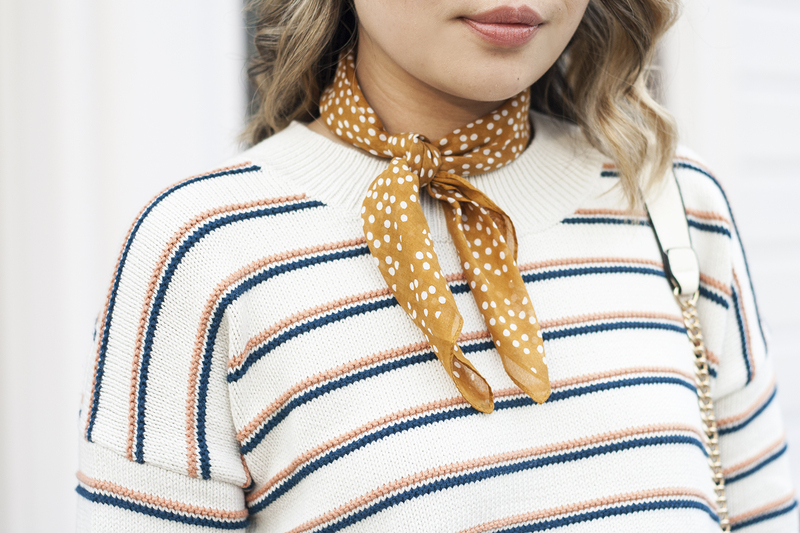 Egyptian gold dotted bandana c/o Madewell. Buttoned suede skirt (old but similar here, here and here) c/o Maison Jules. you look casually great with those items! I like them!